People often joke that in India, there are as many temples as there are people. They range from beautiful little known half ruins to world heritage sites attracting visitors from the world over. However, you should take the time to visit the most beautiful temples in India to get the most out of the trip and truly appreciate them. Here are five of the most beautiful temples in India. Annamalaiyar Temple is located in Tamilnadu. This temple is dedicated to Shiva. This temple is actually part of one of the largest temple complexes in India and the world. The eastern tower of the temple is 11 stories tall, making it one of the tallest temple towers in India. The towers themselves date back to the 9th century. The Tirupati Venkateswara Temple is a Vaishnavite temple in Tirupati. This nearly 1800 year old temple dedicated to a reincarnation of Vishnu is a classic and beautiful example of Dravidian architecture. The temple itself sits in the Seshachalam Hills, located on the seventh, holiest hill. This is one of the most heavily visited holy sites in the world; it sees 50,000 to 100,000 visitors each day. During festivals like Brahmotsavam, the number can hit half a million. If you are interested in making a Tirupati hotel booking for special occasions like this, book your rooms months in advance if you want to save on lodging costs. 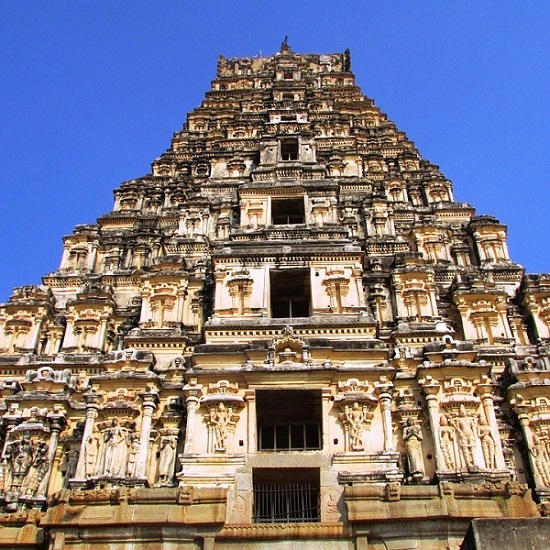 The Virupaksha Temple is a UNESCO World Heritage site. The temple was built in the Vijayanagar capital before it was pillaged and abandoned. It remains a magnificent testament to that time period. The temple stands out relatively pristine among the ruins. It is certainly far less crowded than the Ranganathaswamy Temple, the largest temple in India. The Akshardham Temple is a pink-hued wonder. It was built with 300 million volunteer hours of labor and opened to the public in 2005. It is the newest temple on this list, though it was built in classical style. It contains over 200 murtis. The educational films and museums that attest to India’s ten thousand years of history are only a bonus. All of it together is why about 70% of all tourists to Delhi visit this temple at least once. The Golden Temple or Harmandir Sahib is a lovely sight. More than 750 kilograms of gold were used to cover the upper floors of the building, giving it both its distinctive color and its name. When it was last destroyed and rebuilt in 1830, copper was used along with gold to cover the surface. This temple is one of the holiest sites in Sikhism. The temple attracts more than a hundred thousand people each day. To get to the temple, you have to cross a manmade lake. The sight of the temple at sunset is beyond description. India is home to so many temples, each more beautiful and unique than the previous. Make sure that you visit some of the temples on this list if you really want to get the full Indian experience.